Today is Wina's first ballet lesson officially. 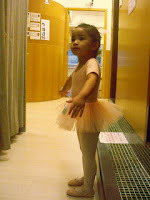 Before she already had ballet trial TWICE (the school is so kindhearted). The second time was actually me taking her on a permanent class. 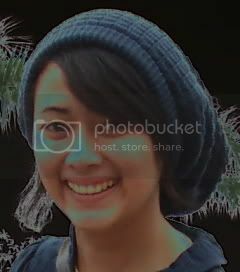 But becoz we came at the second week, the officer told us to start at April and that time just do a trial. Yippie, free class!hehe... Wina enjoyed dancing so much, i wanted her to get a formal lesson. And she look adorable on her ballet outfit. 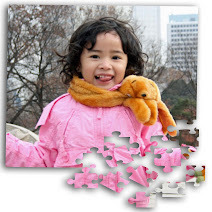 Put the dress on, wear the tutu, tidy the hair (so hard to do with Wina's curly hair), and... "I'm ready, bunda!" 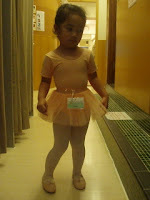 wina, u're so cute wear the ballet dress..